Inkin' It Up With Kendra! 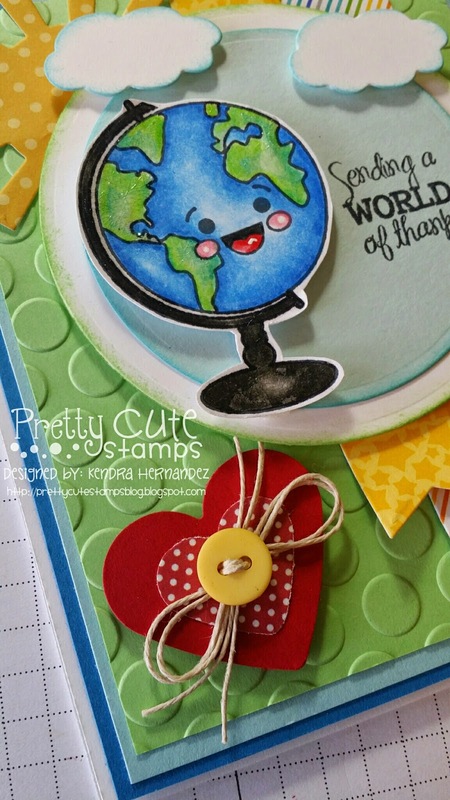 : August Release Blog Hop - Pretty Cute Stamps! Hello all my Crafty Friends - Happy Wednesday! Welcome to our Blog Hop! The August Release for Pretty Cute Stamps is finally here!! Myself and the fabulously talented Design Team members have some really super cute projects to show you showcasing our newest releases! 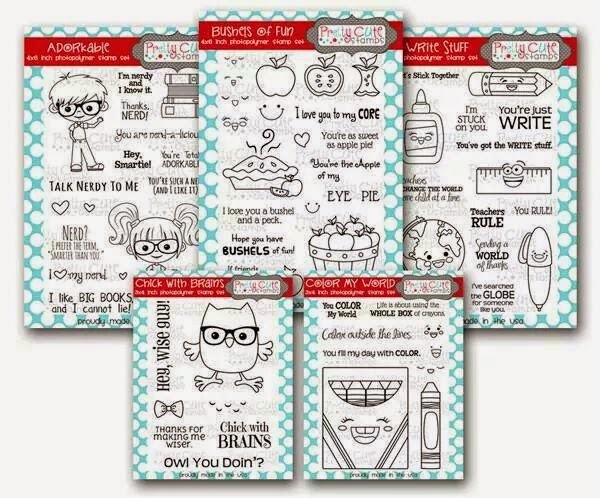 Here is my design using "The Write Stuff".....so awesome - I love this set! Here are the New Releases!! Aren't they fabulous??!!! Most importantly all of the stamps are ON SALE (even the bundle) until 11:59 EST on Tuesday August 26....what a great deal! You can't beat that! A Winner will be chosen randomly on Friday, August 22! 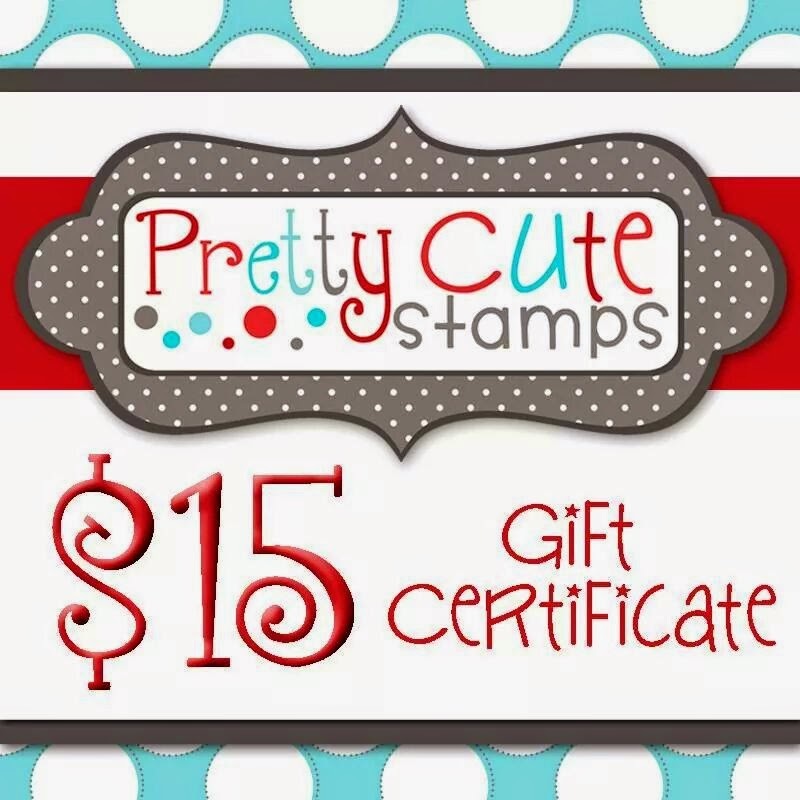 So be sure and check back on the Pretty Cute Stamps Blog to see if you are a winner! very cute!!! Love the stamps!! This is just DARLING! I love the sun and the heart in the corner. great details that really draw an interest to the fun globe!! Loving the colors you used. So pretty. Love your card, it is totally adorable. Your papers and elements are great with this stamp. Love your card!! So perfect (especially for a school teacher)but it is adorable!! That globe is the cutest!!!! I just love your coloring on it. I love all your layers too!! Great card! Wonderful new set! Love your card! 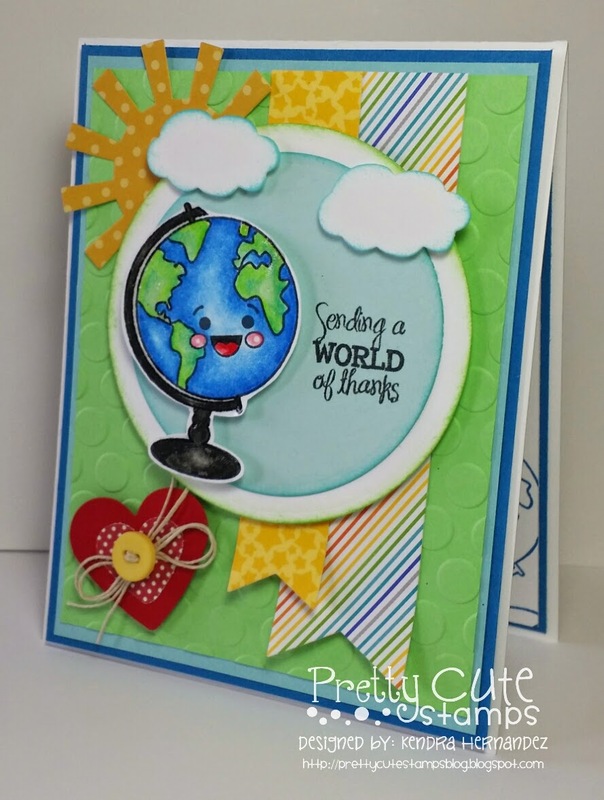 Following..
Super cute card, I really love the bright primary colors :) I am following your blog. Happy Stamping! Lovely card!!! I see that it's not only for school theme only.by the way loved the adorkable card too! !